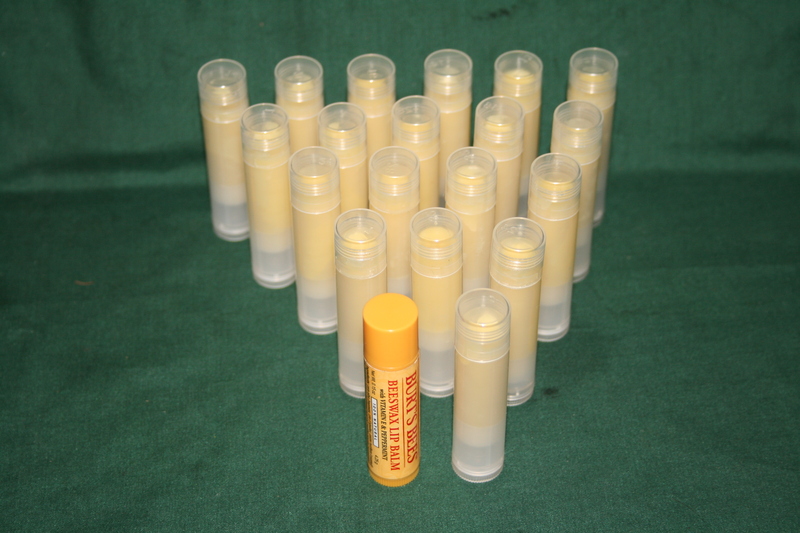 We all have our favorite Chapstick that we can’t live without if stranded on a deserted island….mine is Burt’s Bees. My lips would fall off without that perfect mixture of relief when needed and anytime in between. 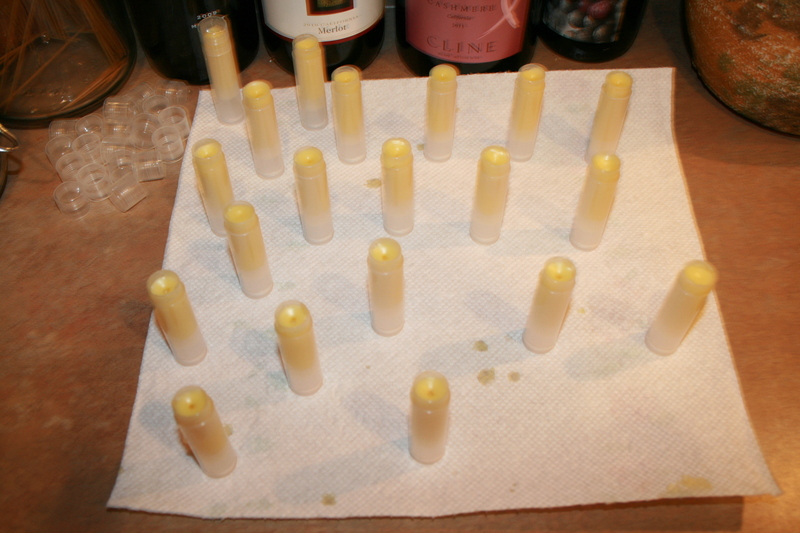 When I knew I was going to make Chapstick I searched for their recipe….well of course I found it quickly and it became my first ever experiment making Chapstick. I took step by step pictures but really in the end, they’re not needed. 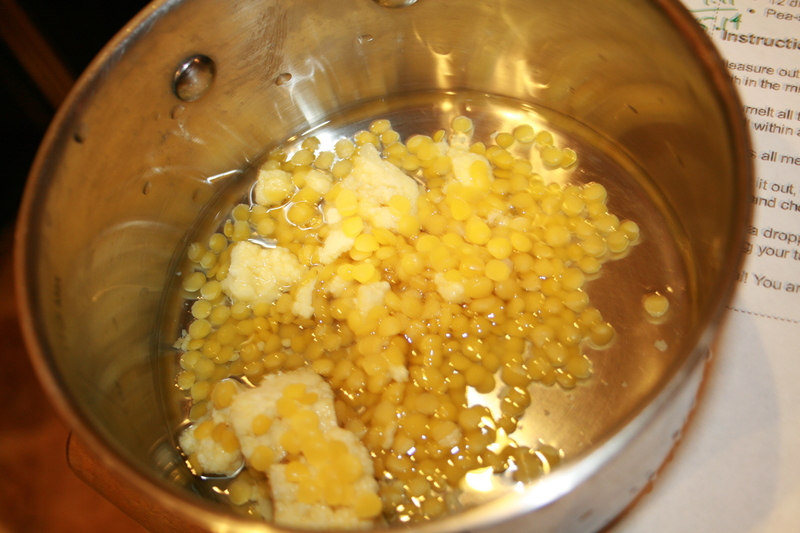 Just mix & melt all ingredients in a double boiler to melt, then add oils, mix well then pour into empty containers (here’s where an eyedropper comes in handy). 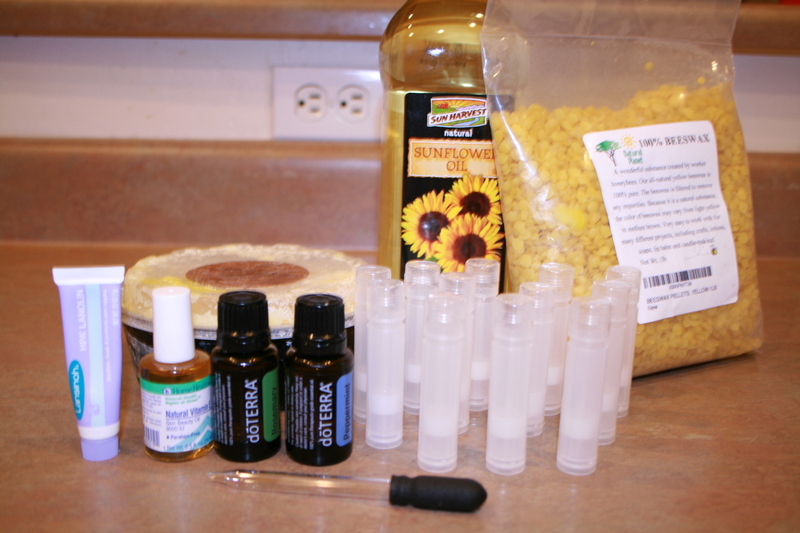 It takes less than ten minutes to make and another ten to dispense into containers. It was SO easy and done within thirty minutes! And cleanup wasn’t bad – Dawn is your friend to help break down the oils when cleaning. It was so much fun and surprisingly EASY! I was amazed at how much I got from one recipe (about 19 Chap sticks). The best part is the cost per container to make it – WOW – what a deal!! How much would you guess per chap stick of the ‘Burt’s Bees’ it costs about? ?